7 year warranties available on Worcester-Bosch & boilers fitted by PGS Plumbers. Sometimes it's worth repairing an existing boiler rather than incurring the additional expense of new boiler installations. You can count on receiving a frank and honest assessment from your experienced PGS engineer, who will advise you on the best course of action for your situation. 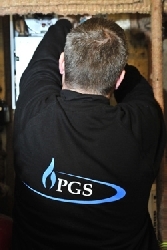 Furthermore, both our work and the boilers we install are guaranteed, so you can rest assured you will always receive the highest standard of service from PGS. We are not tied to any one boiler or component manufacturer, which means we'll listen to your requirements and suggest the heating parts and boilers to best suit your needs and your purse. Read our Boiler guide to decide what type of boiler is right for you. As a value added service, and potentially saving you a substantial sum of money, your PGS engineer will always carry out this formality on your behalf. 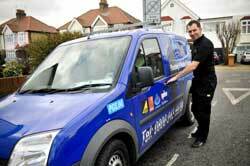 Contact PGS Plumbers today for free boiler and heating advice and quotes.